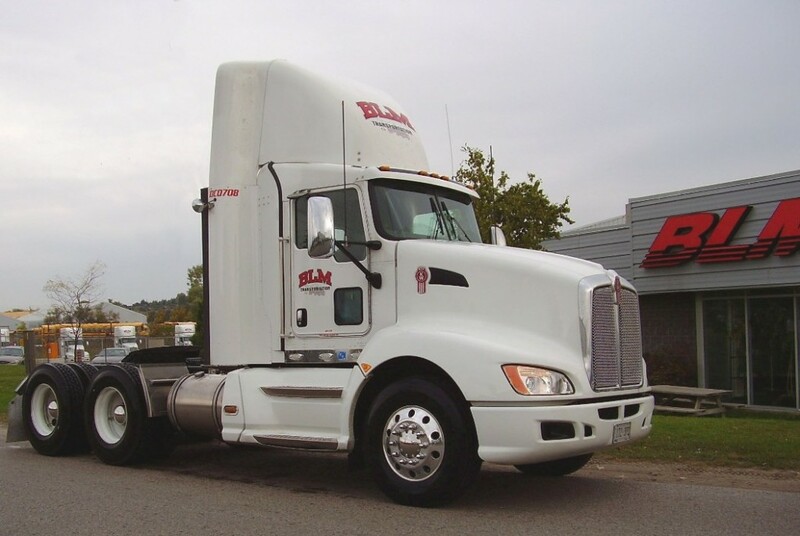 The drivers of Ontario-based BLM Transportation have taken to the extra inches in the new Extended Day Cab offering. KITCHENER, Ont. — When inches of more space count for improved driver comfort, drivers of BLM Transportation Group’s city fleet are praising the benefits of more space – where every inch of belly room and storage space add up to miles of comfort. Introduced earlier this year for the aerodynamic Kenworth T660, the Extended Day Cab option provides an extra six inches of length to the standard T660 day cab’s 122 inches from front bumper to back of cab. The Extended Day Cab also offers five more inches of cab height, two additional inches behind the wheel, up to 21 degrees of recline in the driver’s seat and two extra cubic feet of storage behind the driver’s seat. BLM operates 10 Kenworth T660 Extended Day Cabs in its 15-truck in-city fleet. The company also runs 11 T660 with 86-inch AeroCab sleepers for its highway division, which transports goods in the US and Canada. All run with a 430-horsepower engine. BLM delivers everything from produce and rubber for tires to furniture and electronics between Canada and the US, where it runs about 75% of its annual miles. In addition to its main terminal in Kitchener, the company maintains a facility in Buena Park, Calif.
Brian Dernesch, BLM president of fleet operations, said the Kenworth T660’s maneuverability comes in handy during in-city deliveries. In addition to more room, the headlamp system and improved handling, the Kenworth T660 Extended Day Cab impressed McConnell with its aerodynamic attributes.